Many of the natural skincare brands I try are at the higher end of the spend spectrum. 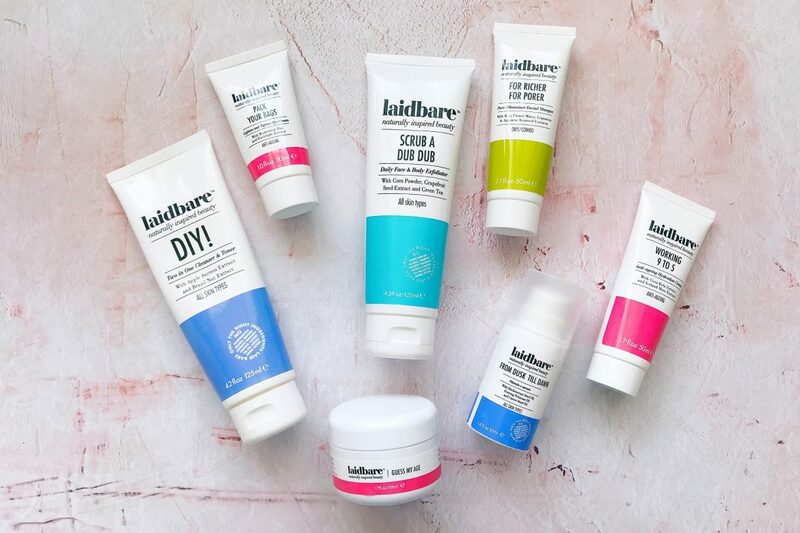 I’m delighted to share a more affordable brand: Laidbare Naturally Inspired Skincare. I have tried many of their products over the past year or two, and here are my thoughts on them. Read on to find out my purse-friendly must-haves. 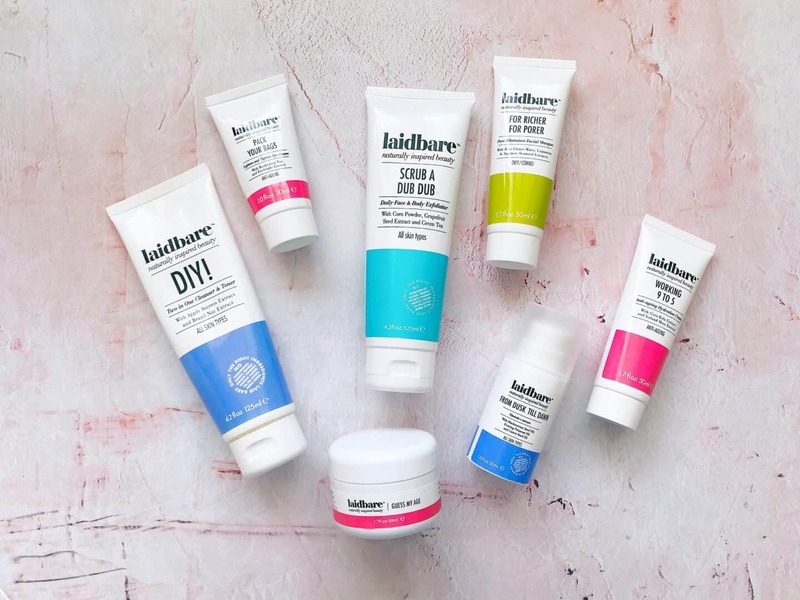 Laidbare Naturally Inspired Skincare was launched back in March 2006, aiming to offer real value combined with truly natural ingredients. As you can see, the packaging is simple, eye-catching and modern. As a copywriter, I also appreciate their witty product names. I’ll begin with reviewing the Laidbare cleansers. 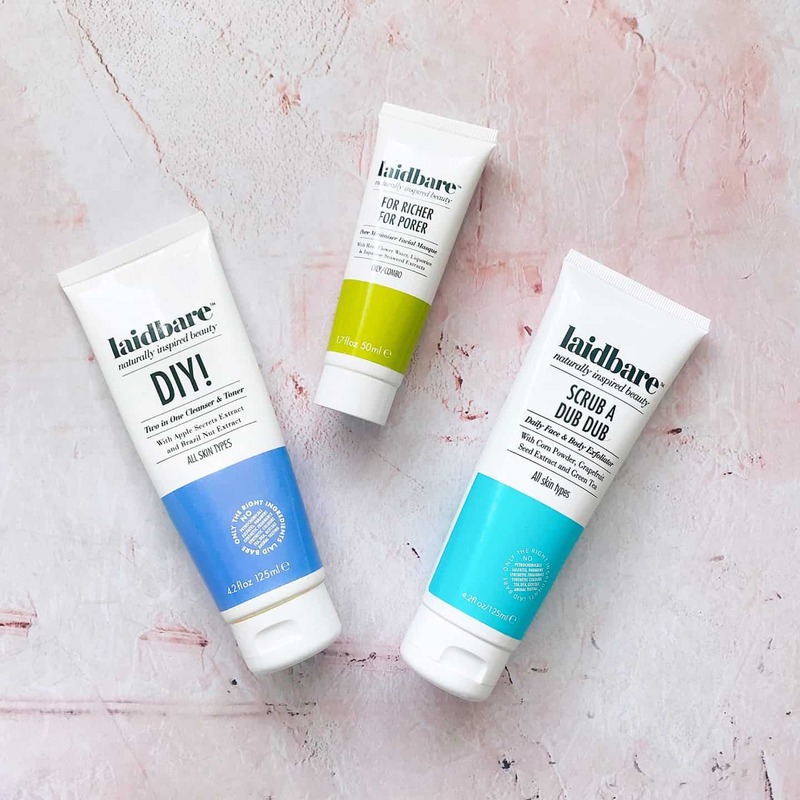 One of the first Laidbare Naturally Inspired Skincare products I tried was their DIY Two in One Cleanser & Toner, which I think I got in a Love Lula Beauty Box*. It quickly became my favourite morning cleanser, as it cleanses so well, without drying, leaves skin feeling fab, and smells delicious. It’s only £6.99 at Love Lula* which I think is amazing value, especially as it lasts so long. 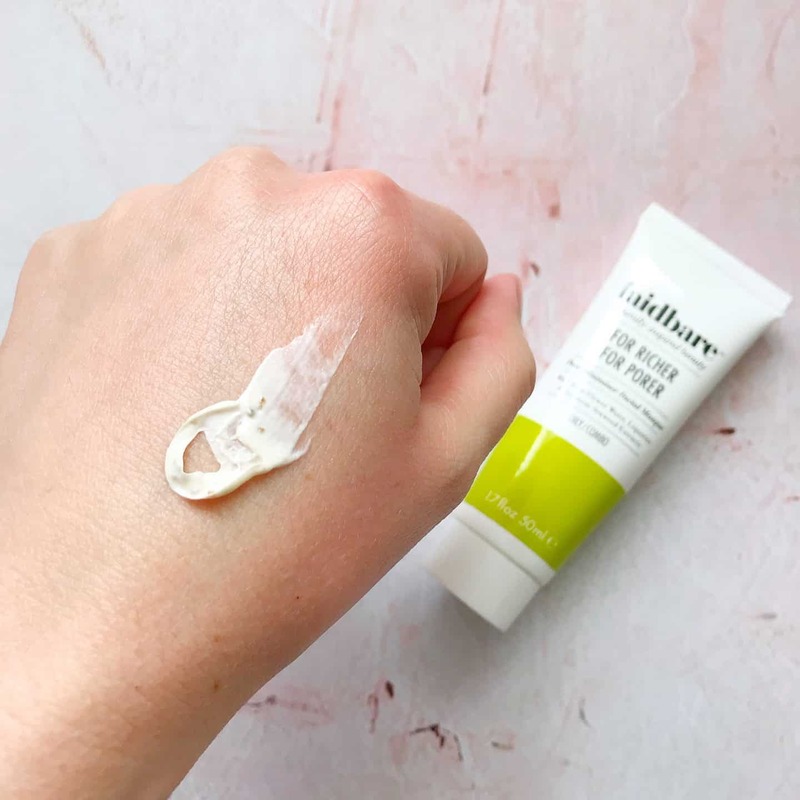 FOR RICHER FOR PORER Pore Mimimiser Facial Masque, £6.99* was another Beauty Box discovery. 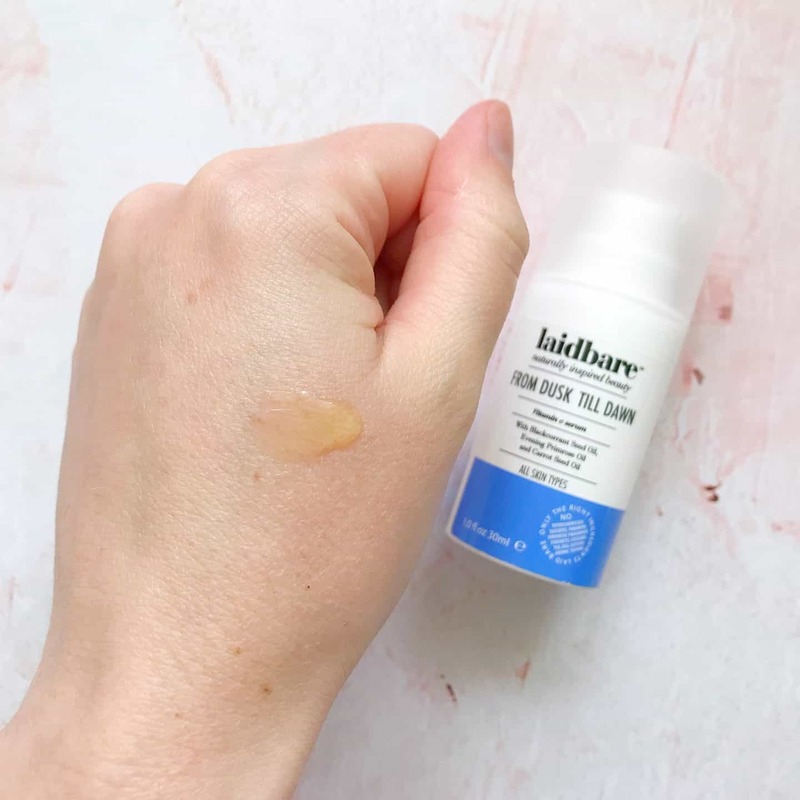 It’s good for oily/combination skin like mine, working well at drawing out impurities, and can therefore cause the odd spot. My advice is to use with caution if you have a big event coming up! 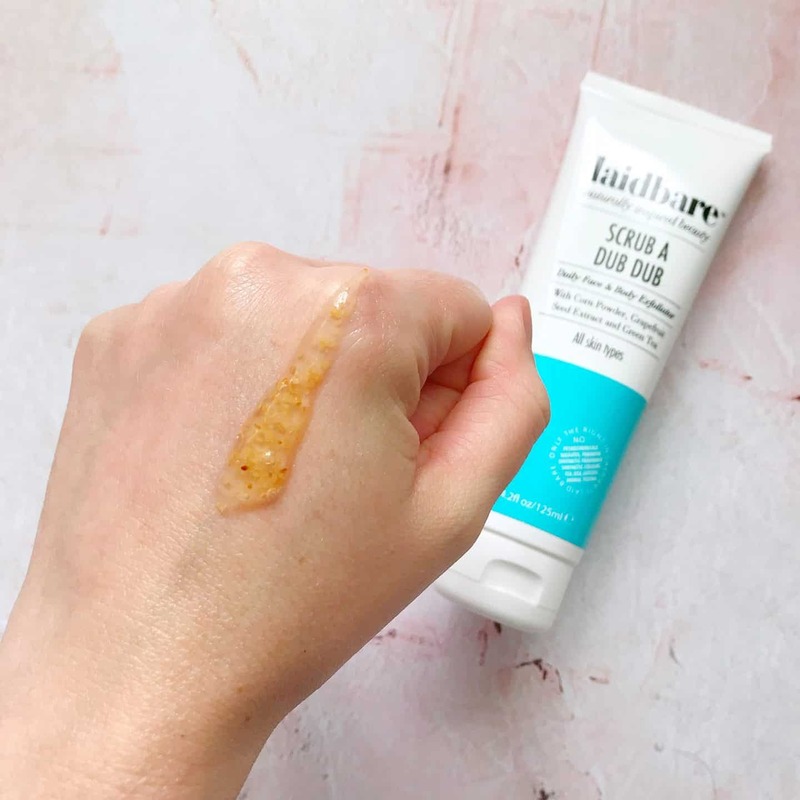 Laidbare sent me SCRUB A DUB DUB Daily Face & Body Exfoliator to try. I was a bit concerned that something gentle enough to use on your face may not be scrubby enough for the body, but I was pleasantly surprised. Costing £6.99*, this scrub smells great, and although it’s not my favourite facial scrub (you can find that here), I do like to use it on my body. 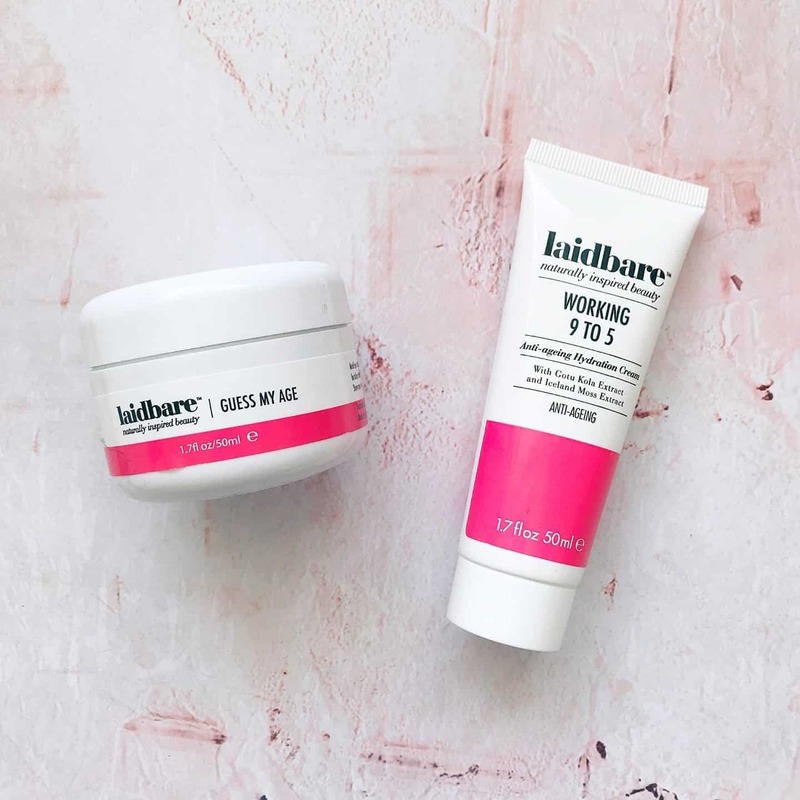 Unfortunately, my skin didn’t really agree with Laidbare’s two face creams. They both brought me out in little white spots. I think they are too rich for my combination skin, so will be passing them on to my mum to try. They have lovely textures and sink in well but just aren’t for me. If you have normal to dry skin, you can buy WORKING 9 TO 5 Anti-aging Hydration Cream for £7.99* and WORKING 9 TO 5 Anti-aging Hydration Cream for £7.99*. I’ve saved my favourite products until last. These two beauties are on my must-have list, especially if you’re new to natural and clean beauty, as they are also very reasonably priced. PACK YOUR BAGS Lighten & Tighten Eye Cream is a mini marvel. It’s the one I always recommend when any one asks me about eye creams. It features in my bright eye tutorial, which you can read here. I can feel it tightening the area, and I think it also makes a slight difference to dark circles. It is not overly moisturising, which is ideal for me, as I think rich eye creams can make eyes a little puffy. You can buy PACK YOUR BAGS here for just £7.99*. Finally, FROM DUSK TILL DAWN Vitamin C Serum is another favourite. It is more of an oil than a serum in texture, but it is light and easily absorbed and hasn’t caused breakouts. Vitamin C is one of nature’s wonder-ingredients, helping with acne scarring (ideal for me, unfortunately) and radiance. It smells of lavender, which surprised me, as I always associate vitamin C with citrus fruits. It makes it a great product to help relax you before bed, as it gets to work overnight. You can buy FROM DUSK TILL DAWN for £12.99*. 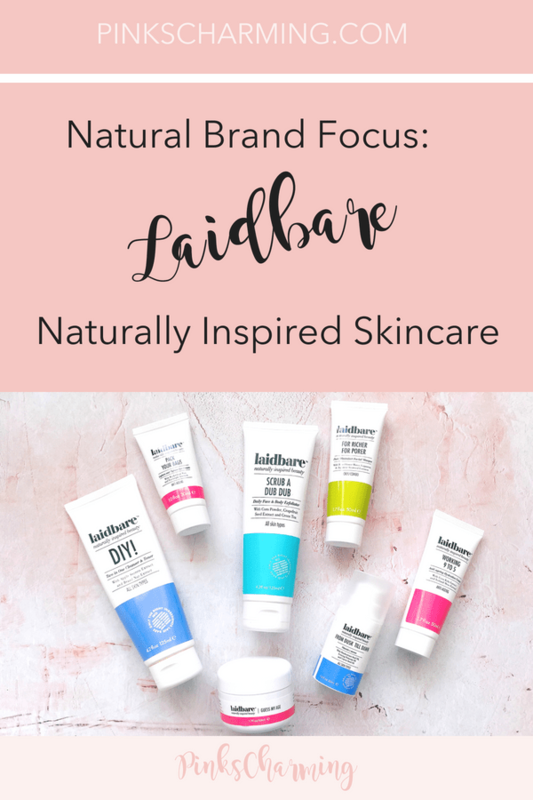 So there you have it: my review of Laidbare Naturally Inspired Skincare. 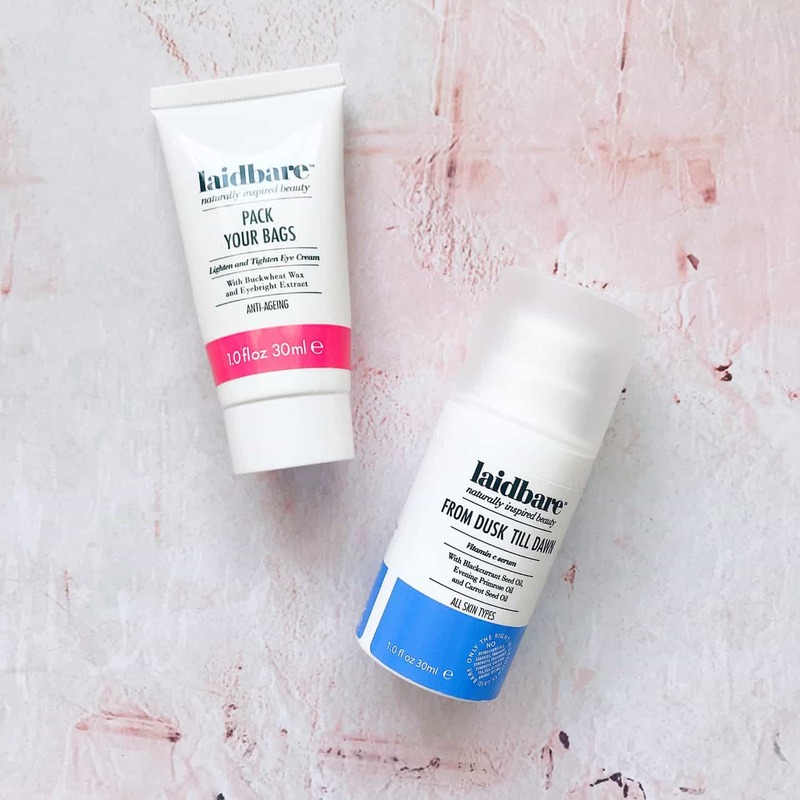 They have lots of other clean beauty products, which I will no doubt be trying at some point, as I am really impressed with Laidbare products’s affordability, and how well they work. Why not Pin this review for later? I really like their Richer for Porer mask as it doesn’t only work on drawing out impurities, it also removes the dead skin cells well, leaving the skin really smooth. Loved the sample I had of ‘Pack Your Bags’! Can’t wait for my current product to finish to move onto this!